Now you can enjoy the professionalism and service of a large general contractor without the hefty price tag. Using the systems and processes of project managers and building investors, your renovations, remodeling, tenant improvements, repairs, and apartment building management are completed promptly, at a fair price, and free of surprises. Communicate. Provide frequent project updates and answer your phone calls promptly. Negotiate with suppliers to get you the best prices on quality products. Take it personally. Manage your project as if it was our property. Deliver on time. Promptly complete your remodeling, tenant improvements, and repairs. Take on any size job. No job is too small or too large. Do the job from A-Z. Complete all construction and related services for your job from permits and demolition, to remodeling, debris hauling, landscaping; whatever you need. 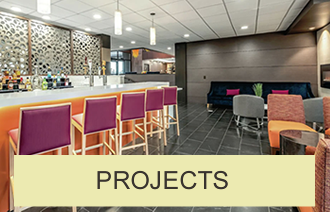 Be onsite to manage your project. Be respectful of you, your tenants, and your building. 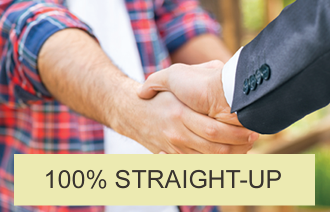 Be 100% straight-up. Communicate openly and frankly about your project status, any issues or concerns, and our recommendations. Our initial meeting with you is a walk-through to discuss your project. In addition to your project manager, our team of trades people participates in your walk-through. That's right - the plumber, electrician, project manager, etc., actively participates in your property walk through. This unusual step enables you to meet the trades people who will participate in your project, hear each other's evaluations of the project first hand, discuss concerns, and ask questions directly. This is just one of ways we make it easier for you to make decisions about renovations, tenant improvements, and major repairs to your commercial building or apartment building. 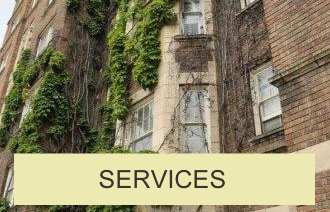 Contact us today to discuss your apartment building renovations, tenant improvements, commercial building repairs, or apartment building management and discover how easy and stress-free it can be to get your job done right and on-time.